The Secret to Leading Man Skin | Valet. Wear it, don’t share it. Clockwise from left: James Franco, Cristiano Ronaldo, Diddy, Justin Bieber and Chris Pratt. When it comes to looking good, there’s something that celebrities have over us regular dudes. They're surrounded by a team of professionals whose job it is to make them look their best. One tool that those grooming pros swear by? 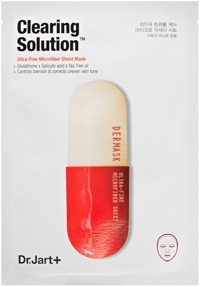 The sheet mask. You might've seen these slightly creepy disposable masks floating around social media. But if you haven't tried one yet, you really should. They're soaked in a specially-targeted serum, which delivers direct treatment to whatever skin concern you've got. All you have to do is stick the mask to your freshly-washed face, give it some time and the results are immediately noticeable. All at a fraction of the cost of a regular facial and in the comfort (and privacy) of your own home. But don't take our word for it. Just ask Chris Pratt, Justin Bieber or Diddy. The list goes on and on because in short, these masks work. So if you're looking for a shot of confidence before a big date, event or even a presentation at work—or simply want to give your tired, suffering skin a boost—take 20 minutes, kick your feet up and try one of these. 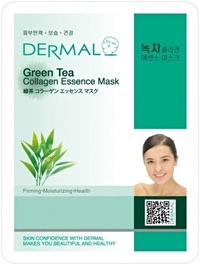 This soothing mask from a well-respected Korean brand hydrates and calms skin via green tea extracts, Vitamin E and natural collagen that leaves skin clear and smooth. A trio of salicylic acid, tea tree oil and niacinamide controls excessive oil and minimizes zits while glutathione, a potent antioxidant, visibly fades spots from past breakouts. 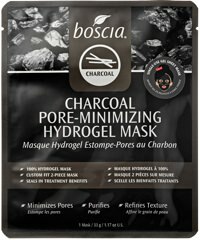 It's easy for men's pores to get enlarged and clogged, but this two-piece mask is enriched with bamboo charcoal which naturally cleanses the skin and draws out blackheads and gunk. 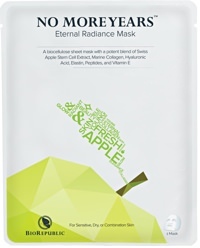 If your skin is showing its age, this mask is packed with Swiss apple stem cell extract, marine collagen and hyaluronic acid to lock in moisture and keep skin looking smooth and firm. The sheet mask gold standard. 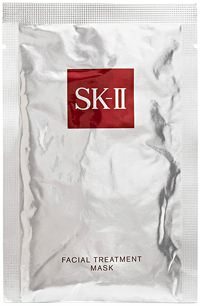 This is soaked in a concentrate of SK-II's signature Pitera Essence, which moisturizes and promotes cell turnover to improve your skin's overall texture and clarity. Store your masks in the refrigerator for an added refreshing, cooling sensation.